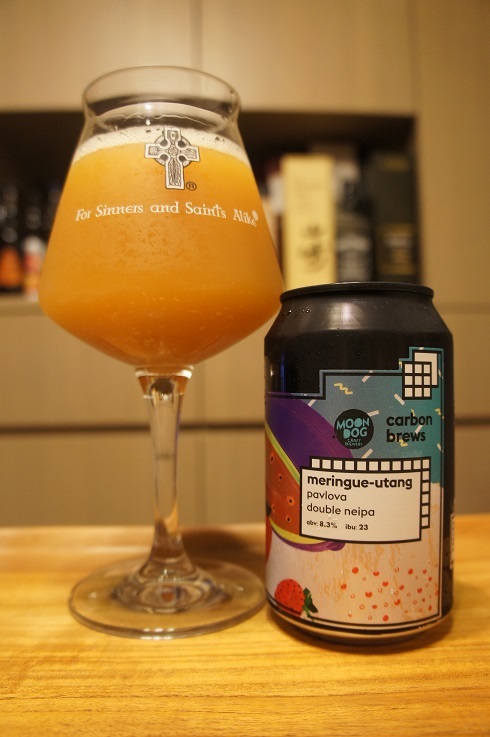 Brewer Description: (from can) Experience: pavlova, tropical fruits, juicy. Intro: A 330ml can, with a best before date of 19th September 2019. Poured into a Lost Abbey teku glass. Appearance: A murky dark orange brown colour with a half finger white head that dissipates fairly quickly and left only sparse lacing. Aroma: Pavlova, strawberry, passionfruit and vanilla with hints of pineapple. Taste: Juicy, slightly unripe strawberry, passionfruit, lemon, kiwi, vanilla, lacto sweetness. Overall: Really great aroma of basically pavlova. Taste was very juicy and had a good balance of sweet and juicy. A great collaboration that I could keep drinking again and again.